Nike has tapped New York Giants receiver Victor Cruz to model its brand new product line equipped with Therma-Sphere Max technology. 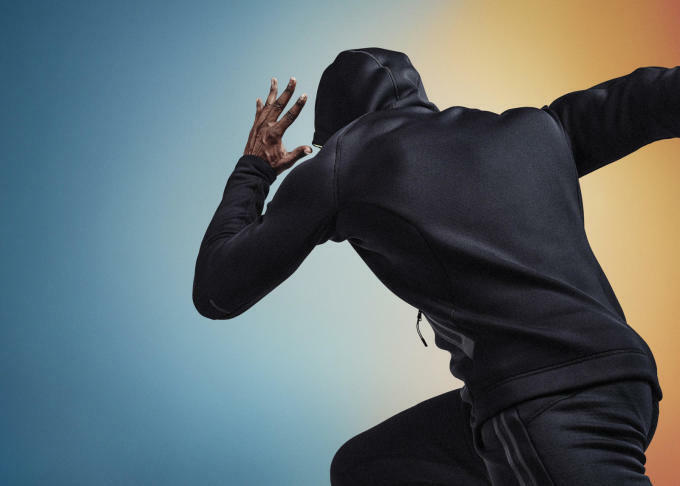 The new training jacket and pants have been in the works for two years and come with revolutionary technology that will help you battle all the elements. The main goal of the Therma-Sphere Max technology is to aid athletes with thermoregulation, which means maintaining the body&apos;s heat so it doesn&apos;t get too hot or cold. To accomplish this, Nike uses multiple layers of different advanced fabrics. The first is a Nike Sphere material with raised-node technology, which keeps heat close to the body similar to the way a wetsuit does with water. The next is a lightweight and breathable spacer thermal design, which counters the Nike Sphere aspect by letting heat out. The products are also water- and wind-repellent thanks to a special coating. “The Nike Therma-Sphere Max Men’s Training Jacket is the first Nike training product that features the spacer thermal design," senior product line manager for Nike Athletic Training Becky O’Flanagan said. "It allows the body to breathe, helping the athlete focus on performance." You can shop the Therma-Sphere Max products on Nike&apos;s webshop now. Check out the lookbook below featuring Cruz, who has also starred in campaigns for Givenchy, Gap, and KITH.